“I didn’t even bend down my head, I wasn’t worried that I was going to get killed, If I was going to get killed I was going to get killed as a fighter, not because I am a Jew.” — Sonia Orbuch, during JPEF interview. Sarah Shainwald was 14 years old and ready to begin high school when the bombs began falling on September 1, 1939, marking the official start of World War II. The Soviets invaded Poland from the east and Luboml was handed to the Russians under the Molotov-Ribbentrop pact that divided Poland between the two powers. For two years, Sarah grew up against the backdrop of war with worries about her family’s future. Then in 1941, her small Polish town fell under German occupation following Operation Barbarossa, Germany's attack on the Soviet Union. 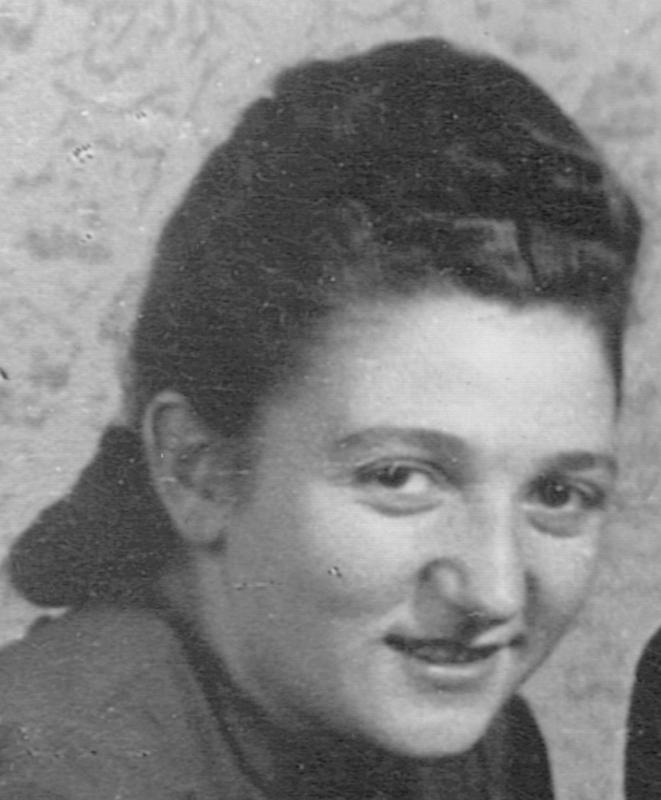 Sarah and her family were confined to the ghetto alongside the other members of the Jewish community. When Nazis began killing Jews in the ghetto, it did not take long for the news to spread. 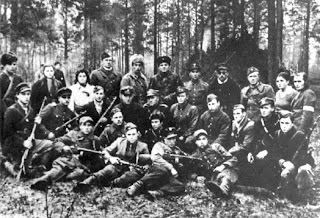 Sarah's brother and several male friends escaped to join a partisan group, but this group only accepted young men – so the open forest was the only hope for Sarah and her parents. They hid among the trees where they survived in freezing temperatures for months. Eventually, Sarah and her family made contact with a nearby Russian partisan group through the help of a sympathetic local peasant. Fortunately, her uncle Tzvi was a trained scout. The Russians needed his life-long knowledge of the surrounding terrain, and accepted the entire family into their group. Thus Sarah began her new life in the forest encampment that served as a base for sabotage and resistance missions. 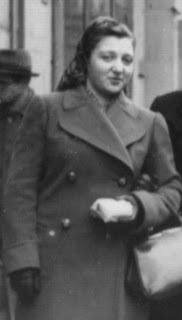 Sarah was renamed Sonia by the partisans, for 'Sarah' is not a common Russian name and would have exposed her to danger from various anti-Semitic elements. Early on, Sonia was assigned guard duty and tasked with providing first-aid on missions to mine enemy train tracks. With little training, Sonia learned the skills of a field-hospital aide, treating the wounds of injured partisans, using whatever makeshift supplies were available. 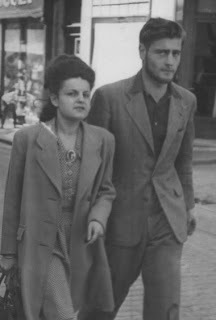 In 1944, Sonia and her parents faced the decision of either leaving the partisans or joining the Red Army. They decided to leave the partisans and took refuge in an abandoned house. They were unaware that the house was infected with typhus, which soon claimed Sonia’s mother, leaving only Sonia and her father. In her JPEF interview, and during many classroom visits and Yom HaShoah presentations, Sonia defiantly proclaimed, “I want young people to know we were fighting back and that you can always find a way to fight back against injustice, racism, or anti-Semitism. If I was going to get killed, I was going to get killed as a fighter and not because I am a Jew. That itself gave me strength to go on." Sonia vividly recounts her struggles and perseverance during the war in her memoir Here, There Are No Sarahs. Sonia passed away on Sunday, September 30, 2018, surrounded by family and loved ones. She was 93 years old. During her lifetime, she inspired and touched the lives of so many. You can read more about Sonia's incredible life in the San Francisco Chronicle, London Times, and Washington Post. The Board and staff of the Jewish Partisan Educational Foundation extend their deepest condolences to Sonia's family and friends. Sonia is survived by her son Paul Orbuch and daughter-in law Lisa King, her daughter and son-in-law Bella and Dan Whelan, her granddaughter Eva Orbuch, and her step-granddaughter Fraya King. 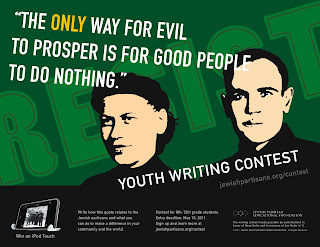 Sonia was the subject of JPEF's 2012 Youth Writing Contest and is pictured here with winner EJ Weiss. 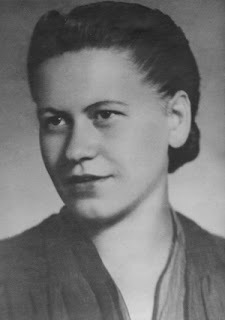 Visit www.jewishpartisans.org for more about the life of Sonia Orbuch, including seven videos of Sonia reflecting on her time as a partisan. 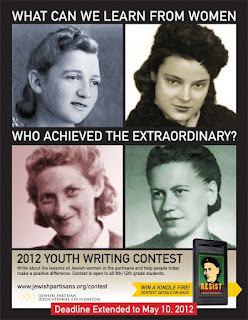 You can also download our study guide Sonia Orbuch: A Young Woman With The Russian Partisans. Guest Blogger - Paul Orbuch: "If, By Miracle"
My name Is Paul Orbuch and I am the Founding President and Chairman Emeritus of JPEF. 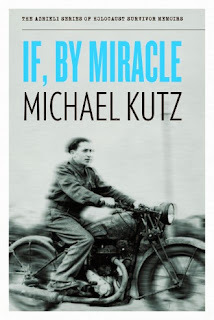 My mother, Sonia Orbuch, fought with the Soviet partisans – as did Michael Kutz, whose gripping memoir, “If, By Miracle”, was recently published by The Azrieli Foundation in Canada as part of their Holocaust Survivor Memoir series. The Azrieli Foundation has published many fine books in the series, but this one was the first on a Jewish partisan. It caught my attention for that reason, but as I read it I was amazed to see how it resonates with the work JPEF has done and specifically how it parallels in so many ways my mother’s story, which was told in her memoir, “Here, There Are No Sarahs”, which was released in 2009. 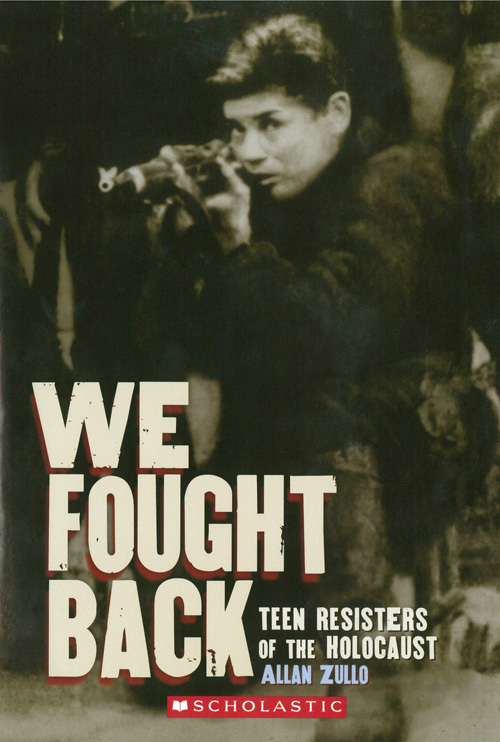 I worked closely with her and her co-author Fred Rosenbaum for 3 years; many of the threads in Kutz’s memoir correlate with her story as a teenager who fled to the forests and eventually was lucky enough to join a fighting unit of Soviet partisans. But this story is told through the eyes of a young teenage boy, whose struggle to prove oneself as a fighter, and the joy of finally being able to fight back after enduring the loss of family, friends and community nevertheless mirrors that of my mother and many other partisans. We see the same strand of antisemitism – even within the resistance groups. (This is analyzed more deeply in the JPEF course, Antisemitism in the Partisans.) We see the same joy and intoxicating camaraderie infuse their memories as they recollect this important period of their young lives. There is a valuable introduction by the historian Anike Walke, who explains how large-scale history plays out through the eyes and experiences of this teenage Jewish boy. “The sweeping breadth of his story takes us on a journey through twentieth–century Eastern European, Soviet, Canadian, Jewish and global history.” Through Kutz’s eyes we learn about the split within the Jewish community in pre and post war Poland – between the Zionists who advocated emigration to the ancient land of Israel and the leftist groups who wanted to work towards a revolutionary new pluralistic world in their places of birth. Kutz’s parents even argued whether he should be educated in Hebrew (the Zionist view) or Yiddish, which exemplified the basic split in the community regarding the proper aspiration for the Jewish people. Michael’s first-hand account of being buried alive in a pile of murdered bodies takes us on a journey into the brutality of the German Einsatzgruppen, and what has been termed the "Holocaust By Bullets". These were mobile death squads responsible for the rounding up and murder of Jews in mass shooting operations. These, in addition to the death camps we are more familiar with, were a key component of the implementation of the Nazis’ plan to annihilate the Jews in Eastern Europe. This is a harrowing and until recently neglected area of Holocaust history and I think "If, By Miracle" takes us right into the heart of this history. This is a coming of age story – Michael was only a child when he joined the partisans. He learned to fight with them and, as time went on, he taught these skills to others. The account of his first mission where he was selected by his commanders to crawl to a police station at dawn to place dynamite because he was small enough to do so will entrance anyone reading it – but especially any teenager who responds to adventure and daring. The story of the uprising in Michael's hometown that he later hears about is particularly interesting, as it was one of the first instances of such revolts in the Ghettos and was a precursor to the well-known one in Warsaw. 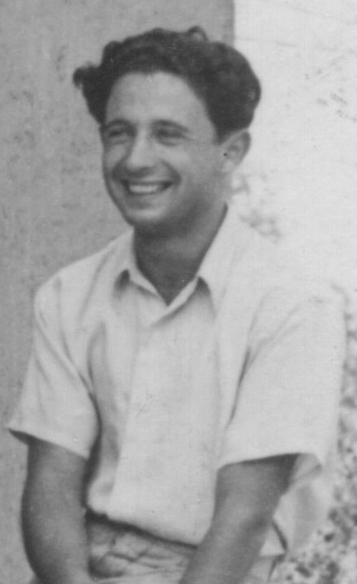 The second half of the book is a unique retelling of this young man’s escape from Europe and his eyewitness account of the coordinated efforts of so many disparate groups that enabled countless survivors to overcome the many obstacles on the way to the ancient Jewish homeland of Israel. 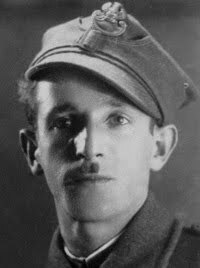 Although Michael eventually came to Canada, prior to leaving Europe he spent many months involved in the training and support of the many thousands who ran the British blockade and formed the nucleus of the new Jewish State. 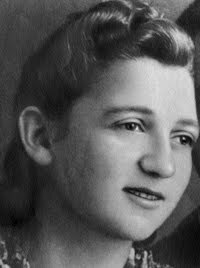 “I tell my story to….the young people of Canada because I feel an obligation to keep the legacy alive for future generations, to be vigilant so that the Holocaust never happens again, to recognize the rights of all peoples regardless of colour, religion or nationality, and to live together and respect one another because we are all God’s children. For partisan groups, fighting the powerful and well-equipped German army in open combat was typically not an option. Partisans spent much of their time hiding from the enemy, and discovery of their whereabouts was a major, ever-looming threat. The Nazis used local spies, bribes, aerial surveillance, and forest sweeps to root out partisan groups hiding in the countryside, so the partisan had to constantly be on high alert. Identity was treated as a matter of life-and-death – not just by the Nazis, but also by most other groups hostile to the Jews as well, such as the various ultra-right wing nationalist groups in Poland, Ukraine, and the Balkans. Though many Jews lived in their own communities, segregated from the gentile population, they were nonetheless well-known by the locals, and could frequently be singled out by their accents2, names that looked or sounded "Jewish", and appearance. 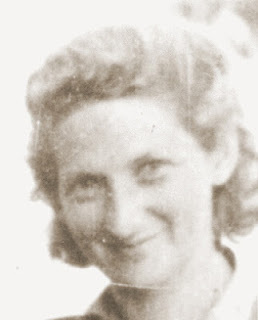 Sonia Orbuch was born Sarah Shainwald, but the commander of her otriad made her change her given name to the more common and less Jewish-sounding Russian name Sonia – to keep her safe from antisemites. “Here there are no Sarahs,” he explained to her. To keep himself out of trouble in Moscow, Leon Senders concealed his Jewish identity by simply bleaching his hair with peroxide. Likewise, Ben Kamm excelled at smuggling food through the countryside because of his blue eyes and blond hair. Fluency in other languages helped many partisans avoid danger - particularly if they could speak without a Yiddish or foreign accent. Running away from his village after the Nazis rounded up all his classmates, 15 year old Joe Kubryk found work as a farmhand with a Ukrainian farmer who never suspected he was Jewish – all because Joe spoke fluent Ukrainian. Growing up in Metz on the northern border of France, Bernard Musmand learned to speak German in school at a young age. 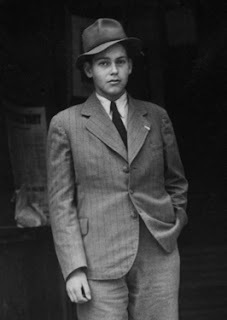 Later, while running dangerous missions as a courier for the Sixieme3, he used his fluency in German to dispel suspicions about his identity – usually, with a friendly request for the time or for a match. Bernard was not only fluent in German – he was also well-versed in Catholicism, another useful instrument of disguise. When his family fled to southern France, he had to pose as a Catholic to attend the local boarding school. He was so diligent at keeping up appearances that the priests actually asked him if he was interested in going into the seminary. 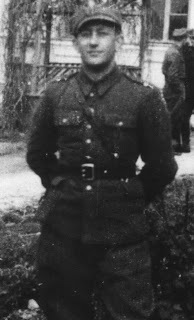 Leon Idas , a Greek partisan, grew up attending a private school run by the local Orthodox church. Consequently, he was able to use the religious knowledge he learned there to keep his Jewish identity secret when he joined the partisans. Though Norman Salsitz was already a partisan, joining the AK was the only way he felt he could strike an effective blow against the Nazis – to do so was the patriotic duty of any able Pole. However, he could not do so without concealing his Jewish identity. 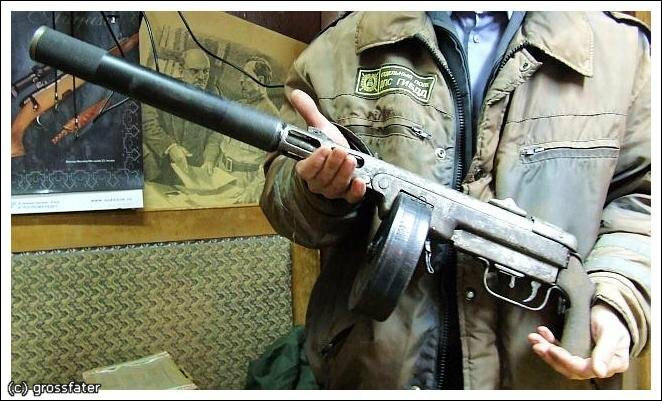 He managed to join by assuming the name (and ID card) of another AK soldier. 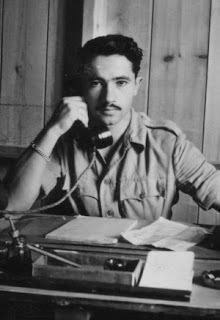 Along with Joseph Greenblatt, Norman is one of the many Jewish partisans who worked for the AK under an assumed Christian name. Norman’s allegiances were tested when a command was given to murder a group of Jews hiding on a farm. 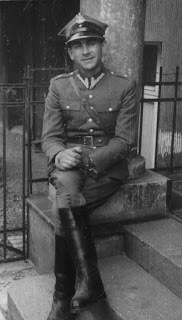 He volunteered for the mission – after killing his Polish companions, he rescued the Jews and fled to his original partisan unit. There are many other instances of Jews infiltrating the AK under Christian identities, acquiring rank and status, and using their power to help other Jews escape persecution and death. Left: photo on Norman's ID card; right: the real Norman Salsitz. Nazi Germany’s plans for the occupied territories included specific methods for singling out and isolating the Jews, such as the infamous yellow badges. When Frank Blaichman smuggled food through the countryside, his preferred method of disguise was to remove the badge from his clothing and hide it until he returned home. Though it may sound simple in hindsight, such an act was punishable by severe beatings, imprisonment, and even death. He could have easily been found out - travel permits were required for even the most routine trips out of town. Frank had no official documents, but he did have a backup: his fluency in Polish allowed him to talk his way out of trouble if he was ever stopped. The falsification of identity papers was vital to the underground. 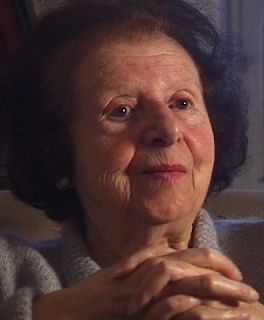 Romi Cohn was instrumental in providing Jewish refugees with false documents that identified them as Christians. The forgeries were of a very high quality – a connection at the local Gestapo headquarters supplied him with German seals to stamp the documents. 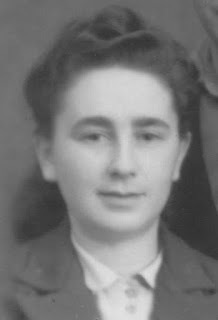 Working at an employment agency in the early 1940s, Eta Wrobel used her clerical skills to forge identity papers for Jews. Even the famed mime Marcel Marceau – himself a Jewish partisan – utilized his drawing skills to make false identity cards for Jewish children. Not surprisingly, a number of Jewish partisans served the cause as spies. Their combined skills – as forgers, as polyglots, as people used to living in a constant state of disguise – put them in a unique position. Even though he was only 15 at the time, Joe Kubryk was trained in the arts of espionage. While Leon Senders was valuable to Moscow as a radio operator, his real art was subterfuge. Leon's knowledge of German, Russian, Polish, and Lithuanian helped him fool his enemies and make new friends. 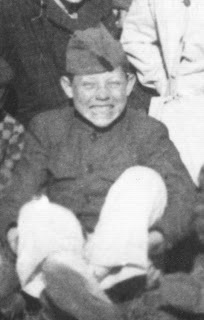 He successfully built up a network of informants he used to acquire sensitive information that was instrumental in bombing the German supply lines. Wearing a tattered shepherd’s coat, Leon was so good at disguising himself he was once kicked out of a farmer’s house because a German officer, who wished to eat lunch there, objected to the presence of “Lithuanian swine” at his meal. In a war where millions of civilians were murdered for no reason other than their identity – be it ethnic, religious, sexual, or political – the means and the opportunity to conceal and change it often meant the difference between life and death. Even the smallest adjustment could have major consequences: Leon Bakst’s father was a merchant, but when the SS asked for his occupation during the first roundup of the Jews in his hometown of Ivie, he simply answered “brush-maker”. He reasoned that the occupiers would have more use for a brush-maker than a merchant. He was correct: his life was spared that day. 1. Out of the hundreds of thousands of partisans active during the war, only 20,000-30,000 were Jewish. 2. The primary language spoken in Eastern European shtetls was Yiddish, and though not unheard of, unaccented fluency in languages like Polish or Ukrainian was not common. 3. La Sixieme was the underground incarnation of Eclaireurs Israélites, a French Jewish scouting organization. 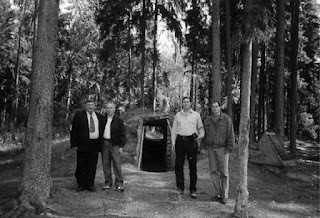 The EI went underground in 1942 and became known as the “Sixth Bureau”, smuggling children and adults into Switzerland, hiding Jews, providing forged documents, and even taking part in battles for the liberation of France. The theme for this year’s International Holocaust Days of Remembrance (April 15-22) is “Choosing to Act: Stories of Rescue”. The Jewish resistance movement is rife with stories of partisans liberating fellow Jews from work camps and smuggling them out of ghettos. 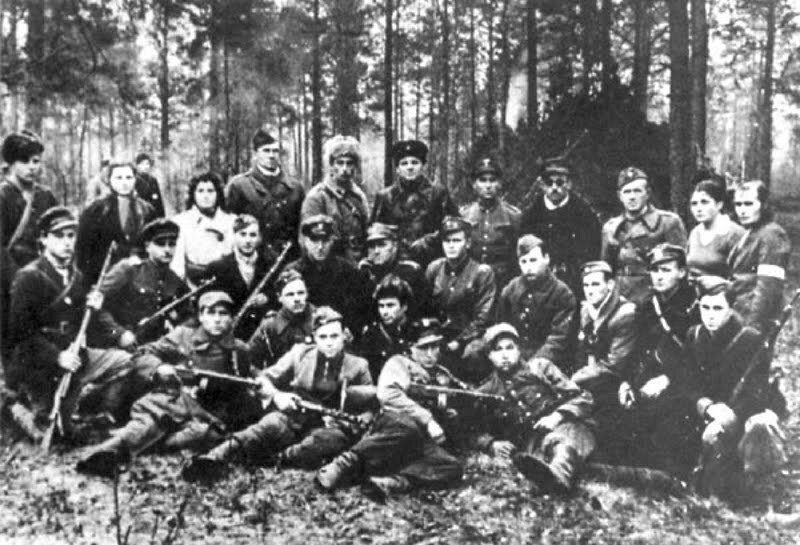 The Jewish partisans fought not only for survival and vengeance, but also to rescue Jews and other victims of Nazi oppression from the horrors of the Holocaust. JPEF offers a variety of resources and study guides that are ideally suited for exploring this theme with your students. Note: for classroom use, we recommend selecting chapters ahead of time and skipping “How to Use This in the Classroom”. Putting the Gevurah (Heroism) Back Yom HaShoah: Remembrance and liturgy on Jewish resistance for Holocaust Memorial Day (April 19, 2012). 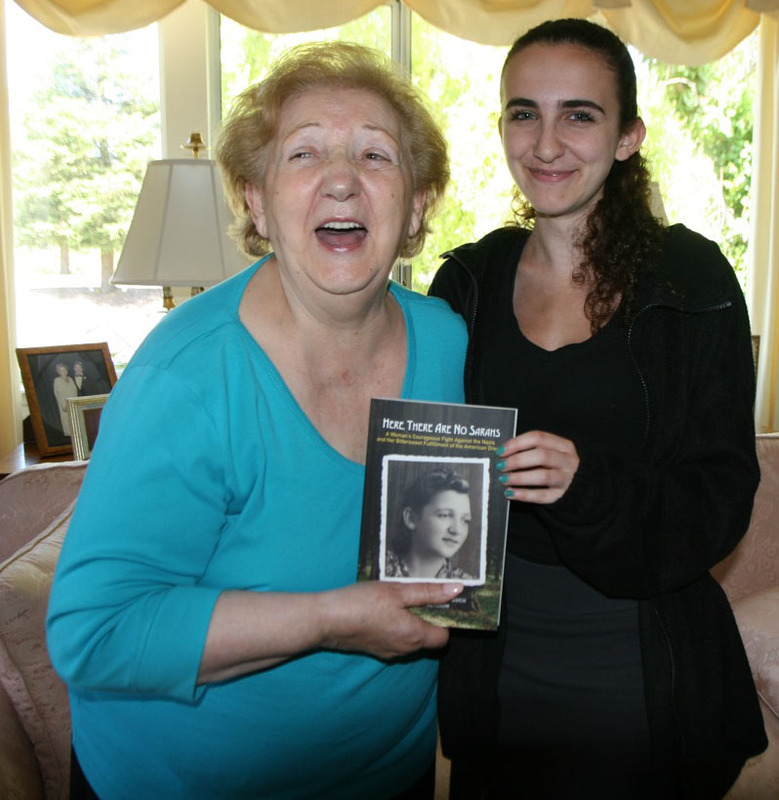 At the age of 18, Sonia Orbuch joined the fight to bring an end to the Holocaust. Bring her inspiring stories to your students by live videocast and Q&A. Save your spot here! We’re happy to announce a rare opportunity to bring Jewish partisan Sonia Orbuch to your classroom or desktop via a live Webcast with Q&A. Registration is open until the hour of the webcast. Students can ask questions ahead of time. Twitter #JPEFWebcast or e-mail webcast@jewishpartisans.org. If you are unable to make the live event, we will send you a link so you can access the videorecording online. "There is such a thing as fighting back… If I was going to die, it would be as a fighter. Not as a Jew." 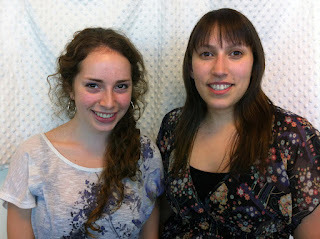 Last week, we posted the first half of JPEF's Ask a Partisan Q&A with students from Blantyre Public School in Toronto. This is the second half of the session. Michael, age 9: What were your responsibilities as a platoon commander? Frank Blaichman: On a day-to-day basis, I was responsible for 45 men and 4 women who were under my command. Every day we moved around to another area in order to deprive the enemy of our whereabouts. This required logistical planning, the gathering of food, the finding of suitable shelter and to make sure that all weapons were in working condition, clean with enough ammunition on each person. I was the one who delegated these jobs among our platoon. 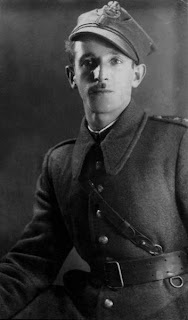 In battle and in sabotage attacks I oversaw any intelligence information between the Polish Partisans (the AL), our other Jewish Partisan groups and ourselves. Armed with this information I made decisions on where and when we should hit and when and where we should run after the attack. I sometimes had to make quick decisions in the field regarding our movements. Whether to pull out or continue the attack. Azaria, age 13: What was it like being a female partisan? Sonia Orbuch: You feel isolated from the world. You feel all the eyes of the male partisans on you. You feel afraid even though you are in the partisans — you feel afraid they might not like you and tell you to go somewhere else. Braydan, age 12: What happened to your family? Frank Blaichman: My immediate family, my parents, my siblings, my grandparents etc., were deported on Friday, October the 9th, 1942 to a death camp. It was most likely either Majdanek, Sobibor or Treblinka. I do not know which one and I do not know the date of their deaths. Of my entire extended family, only 3 cousins survived the war. One survived with me as a partisan fighter. One was captured in Russia and ended up in a camp near Hamburg where he managed to survive. And the third survived as a laborer in Germany on false non-Jewish papers. Daniel, age 12: How did you know which peasants were the good guys? Frank Blaichman: This is a very good question. At first we didn't know who we could trust — we were in the dark and we did think that all Poles would want to kill us. When we went to town, for example, to buy food, we were chased by bullies with pitchforks. Once we organized into a Partisan group, and after we acquired firearms, we were seen as having some power — the dynamic changed. 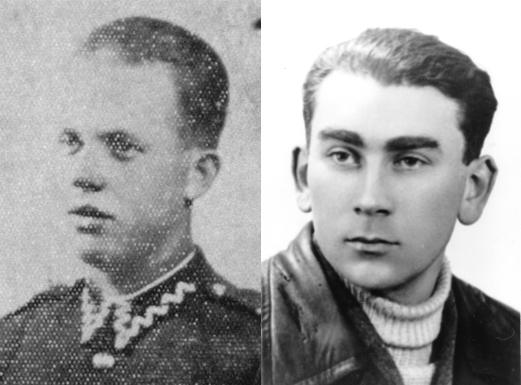 There were still German collaborators who hunted us and wanted to kill us, but there were also good, decent Polish people who provided support to us and risked their lives to do so. They became our informers, telling us who they thought were the German collaborators in their area, and warning us of Nazi troop movements. They also helped us immeasurably by providing us with food and shelter. Had they been discovered as helping a Jew they would have faced severe punishment from the Germans: immediate death or deportation, and the burning down of their homes. We could not have survived without the help of good, local Polish people. Once we captured collaborators and were able to interrogate them, they provided us with the names and addresses of other collaborators. We were then able to bust up their spy ring and prevent them from functioning in our area. A number of Polish peasants felt that we had in fact liberated them as well from the terror of these Nazi collaborators. Click here to read Part 1 of the Q&A. 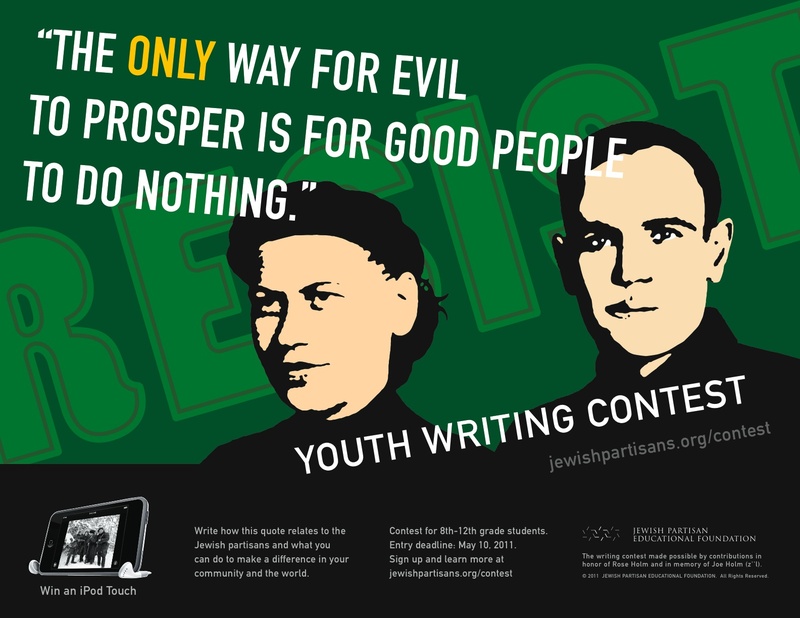 This letter comes from Monica Nelson, who co-created a lesson for her Special Education class based on JPEF’s “Ask A Jewish Partisan” resource. You’ll find answers to her students’ questions at the end of this article. Our school is Blantyre Public School in Toronto, Ontario. Wendy Klayman is the teacher and I (Monica Nelson) am the education assistant in a class of 12, grade 4-8 children with various special education needs such as learning disabilities, attention deficit disorders and autism. In October we started a language unit incorporating character education, empathy, digital technology, art and research. We decided to focus on the Jewish partisans because of the empathy that can be instilled from this topic, because it helps young people understand the difficult concepts involved in discussing this topic, helps them with research, can incorporate technology and e-learning. Also, our teacher (Wendy) has a personal connection to the Holocaust. We spent a great deal of time on JPEF’s site, researching the various topics. The stories and videos were fascinating and the students particularly enjoyed finding out which partisan was most like them and writing to that person. We were both thrilled to hear answers to our questions and fascinated with such honest, informative answers. Not only did we focus on the reading, writing, critical thinking and empathy part of this unit, but we incorporated extensive artwork in the form of empathy posters that tied together the story of the Jewish partisans and another book that we studied at the same time, written by a native Canadian on the theme of teamwork and perseverance. Thank you for sharing this topic with us. Sarah, age 10: Where did you hide the bombs? Sonia Orbuch: The mines were used by our demolition teams to derail trains which were being used by the Germans to re-supply their army. The teams had horses and wagons which were used to transport their supplies and to keep them hidden when we were under attack. Vanessa, age 10: What would have happened if you were caught spying? Frank Blaichman: As a partisan - one of our tactics for survival was to gather information - to watch the movements of our enemies so we could know where it would be safe for us to move to. We also needed to gather information in order to successfully attack or sabotage our enemy. If I had been caught spying on either the Nazis or the Polish authorities, I would have faced the same fate. I most likely would have been killed on the spot. At the very least, I would have been taken to a death camp. Kurtis, age 12: How did it feel running through the woods being attacked by Nazis? Sonia Orbuch: I felt frightened and scared....especially when my family was alone in the forest. Later, when we joined the forest we felt stronger because we were fighting back. John, age 13: Did you ever NOT want to be a partisan? Frank Blaichman: NO. I liked what I was doing. I was into it. I couldn't stop. As an example, one group of Jews among many that we helped to shelter, were hidden in a Polish farmhouse. The farmer created a bunker for them in the barn. This group included Itka Hirschman, a young woman and her child David, a small boy who now lives in Israel. I would bring food around four times a month to the ten people in the bunker. One day Itka asked me: "You are risking your life bringing us food, why don't you come and stay with us?" and my answer was: "I cannot do it, it is in my blood. I along with my men cannot stop doing what we are doing - fighting the Nazis and their collaborators and helping others, including Jews to survive." Click here to read Part 2 of the Q&A.